The Baltomore House Panel is surrounded by pieced stars and beautiful wide border print. 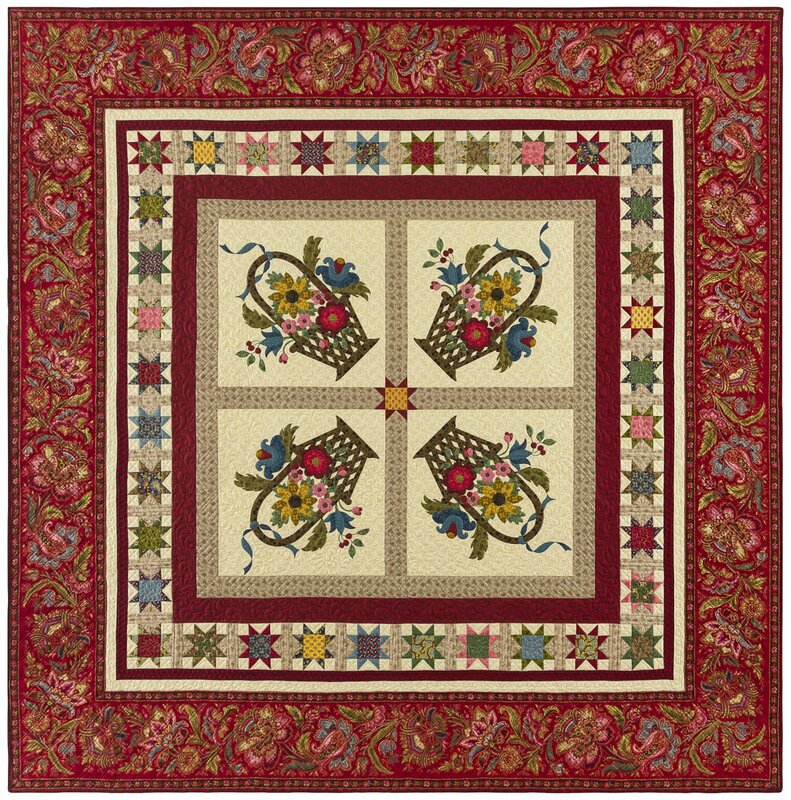 Please note this is not an applique quilt. The applique designs are printed on a panel. Quilt measures approx. 71" x 71".